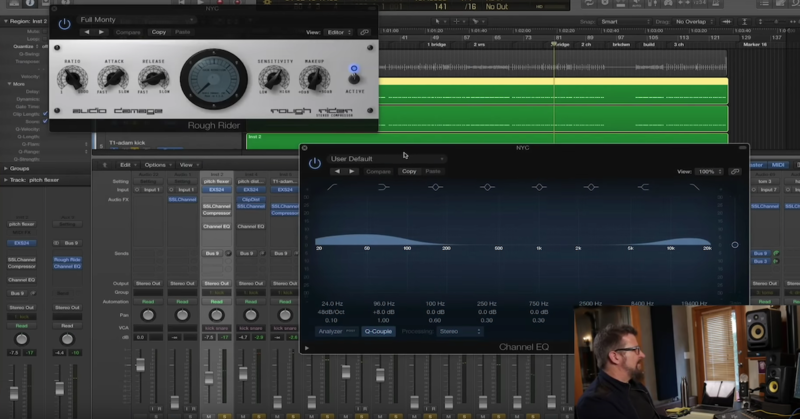 Weiss here with one minute mix tip, and that is going to be experiment with soft knee compression on your drums. Conventional wisdom says hard knee is for drums, soft knee is for vocals, but let’s check this out. Alright, I’ve got a sample here of a snare. Sounds pretty good, but let’s say that I want to make it a little bit softer and a little bit fatter. I’m going to set this with a soft knee, a very light ratio, I’ve got 1.6 to 1 here. Super fast attack, very fast release, and a very low threshold. Now I’m going to take it out of bypass. Cool. One time, before and after. That can be exactly what you’re looking for when you’re designing your drum sounds for say, an EDM production or a Hip Hop production. If you want to check out some more stuff, learn a few more things, go over to drumcompression.com.